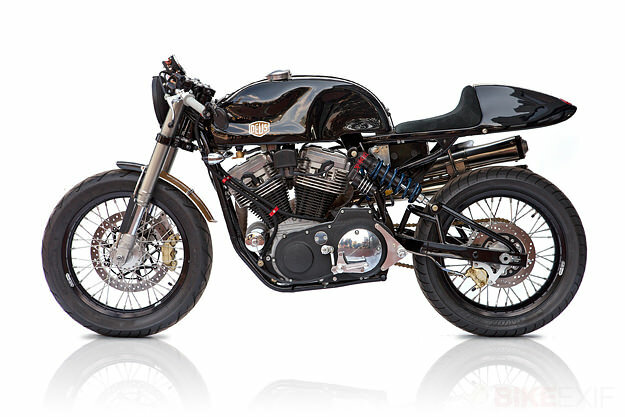 Deus Motorcycles has opened shop in L.A., on the corner of Lincoln and Venice Boulevards. And this is the first full-blown custom bike to roll out of its doors: an intricately crafted machine packed with high performance parts and a healthy dose of attitude. 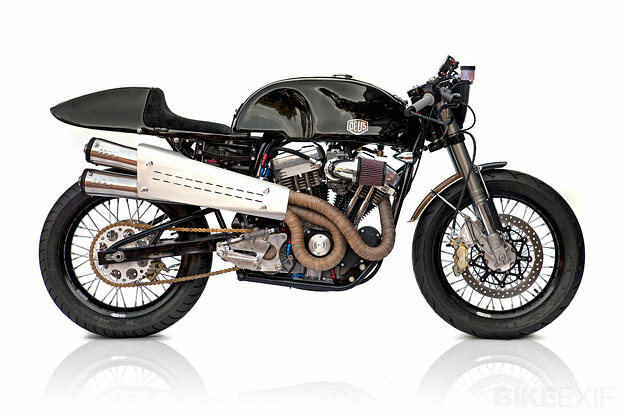 It’s called ‘The American’, and it began as a personal project for Michael Woolaway, Deus’ Design Director in the US. Woolaway’s goal was to convert the legendary C&J Low Boy dirt-track chassis into a street legal cafe racer, using as many American parts as he could. Woolaway located a C&J frame and sent it to Dr. John’s Motorcycle Frame Straightening in Anaheim. After it came back dead straight, the motor was installed. 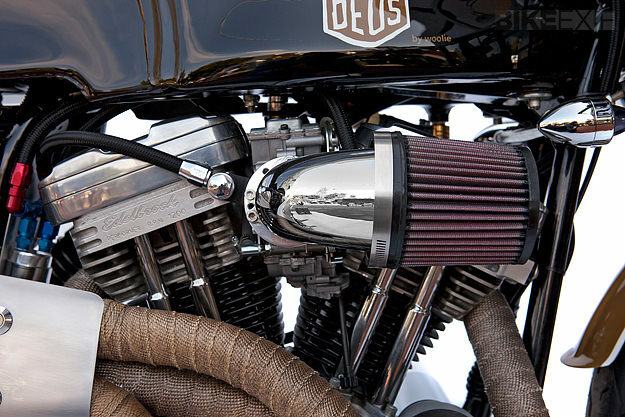 And this is no ordinary mill: it’s built up with a Harley Sportster five-speed lower end, bob-weight-balanced crank performance rods, forged J&E high compression pistons, and Edelbrock big valve cylinder heads. 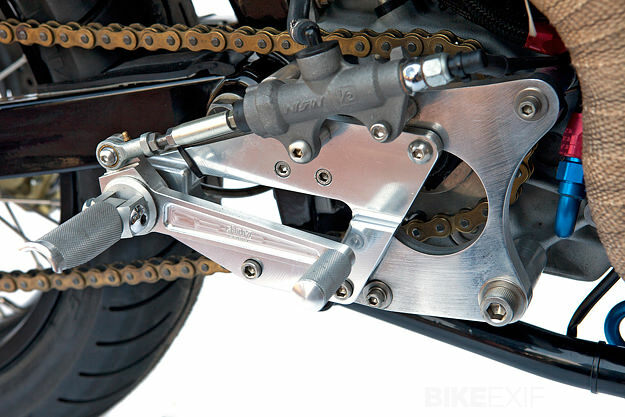 The front suspension is Buell, with triple clamps hand-made at the dirt track specialists Durelle Racing. The hand-built rear shocks come from Works Perfomance, the Sun Rims from Buchanan’s, and the knock-off hubs and brake hangers from A&A Racing. 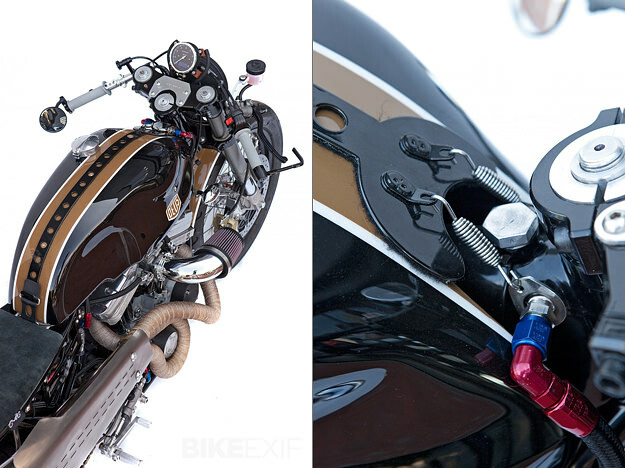 The characteristically minimal Motogadget speedo and electronics add to the race-inspired vibe. 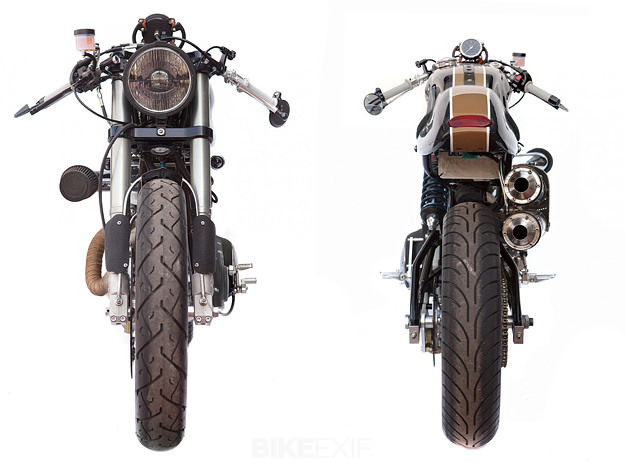 It’s all topped off with typically luscious paint and a pair of SuperTrapp mufflers that look the business (and no doubt sound even better). 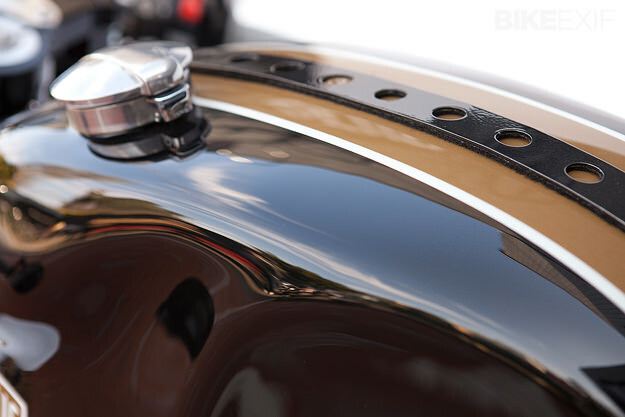 “The American is a Deus Motorcycles concept through and through,” says Woolaway, “taking inspiration from the shapes of the past.” To my eyes, it’s the perfect mix of old and new. Head over to the Deus website to examine The American in even more detail.